6 x 9 catalog envelopes in 70lb. red paper. 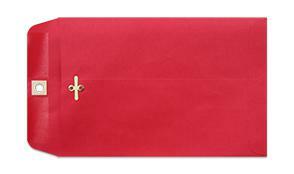 The clasp closure allows you to reuse the envelope many times.